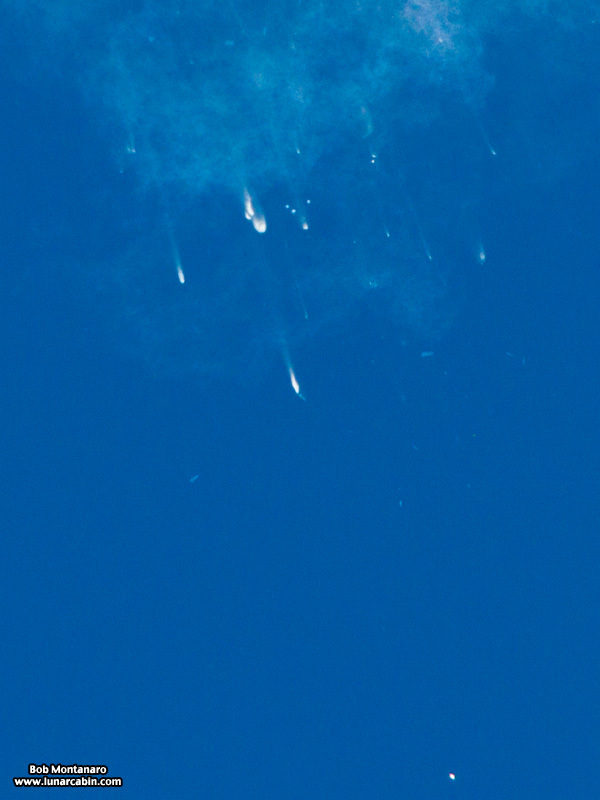 At this point events happened very quickly though it appeared as if the first stage tried to maintain its normal flight for a few brief seconds during the breakup of the rocket. 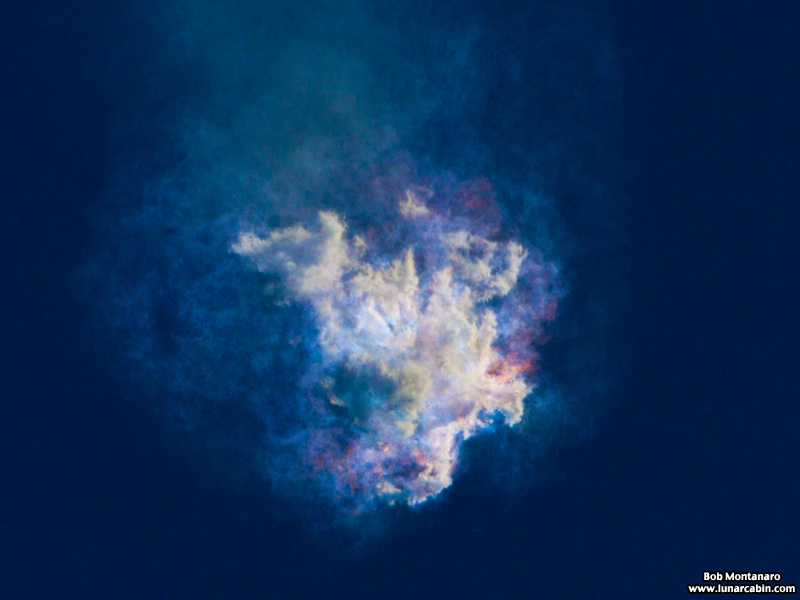 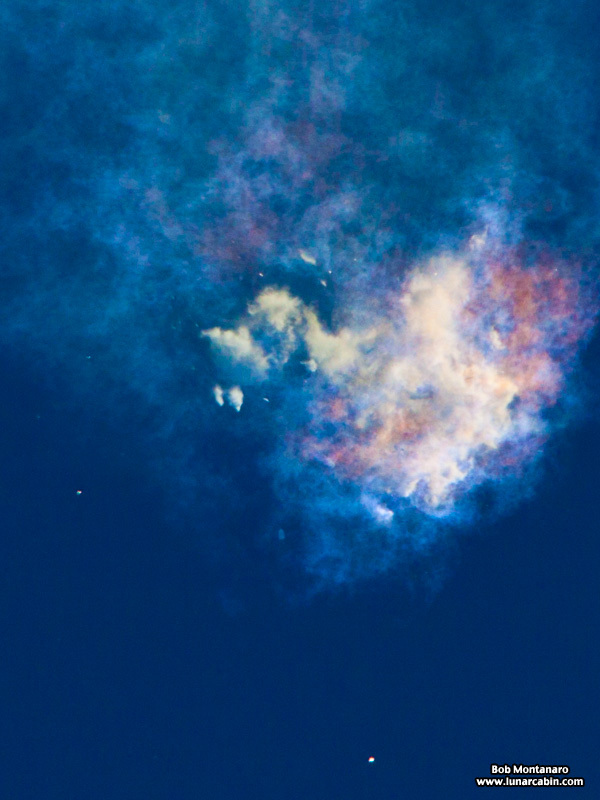 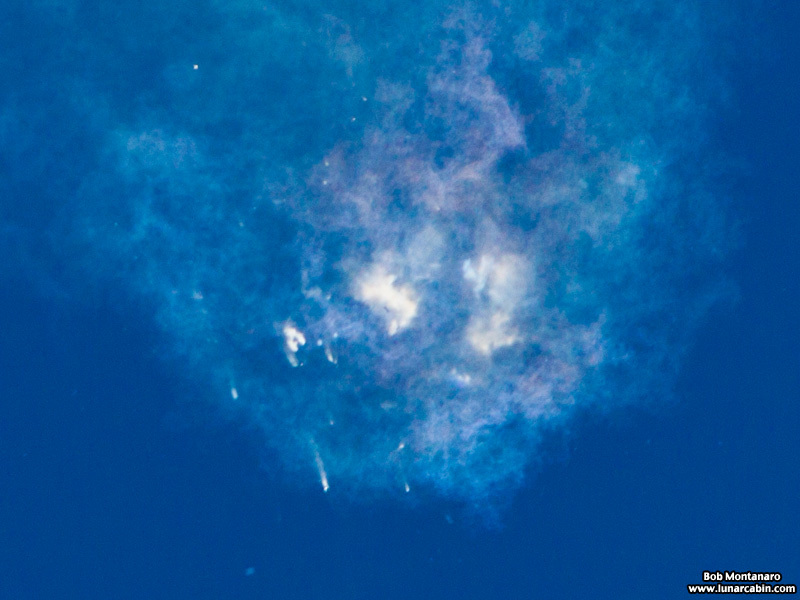 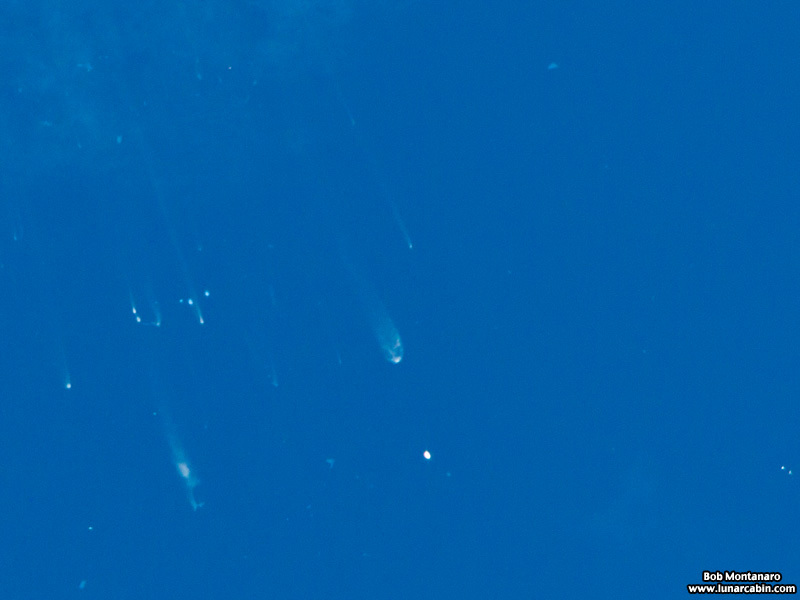 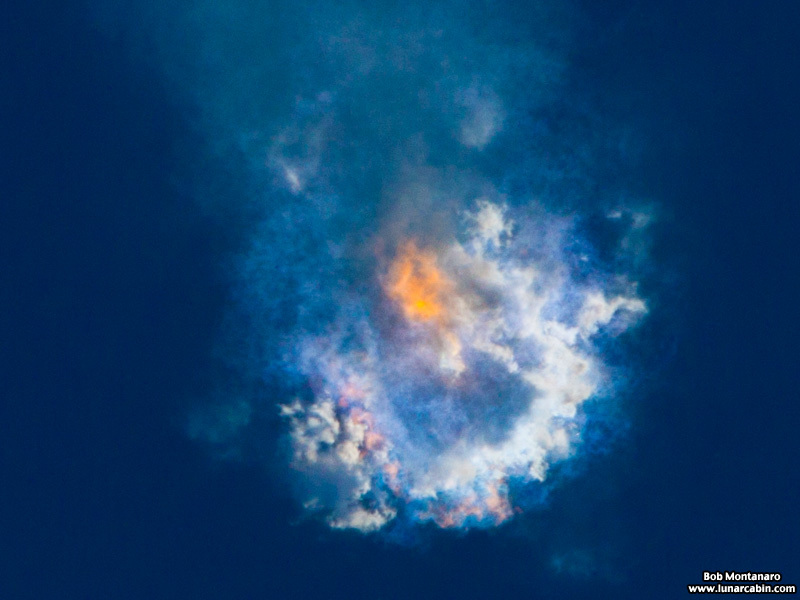 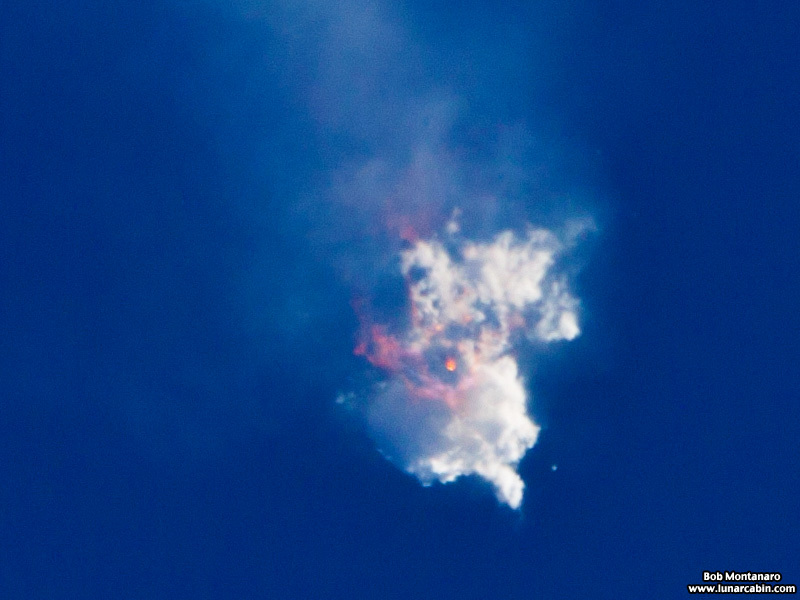 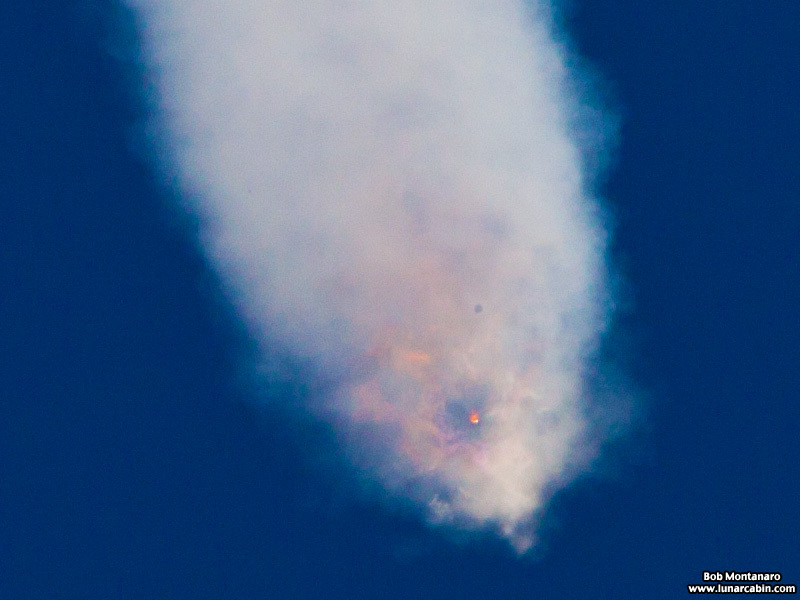 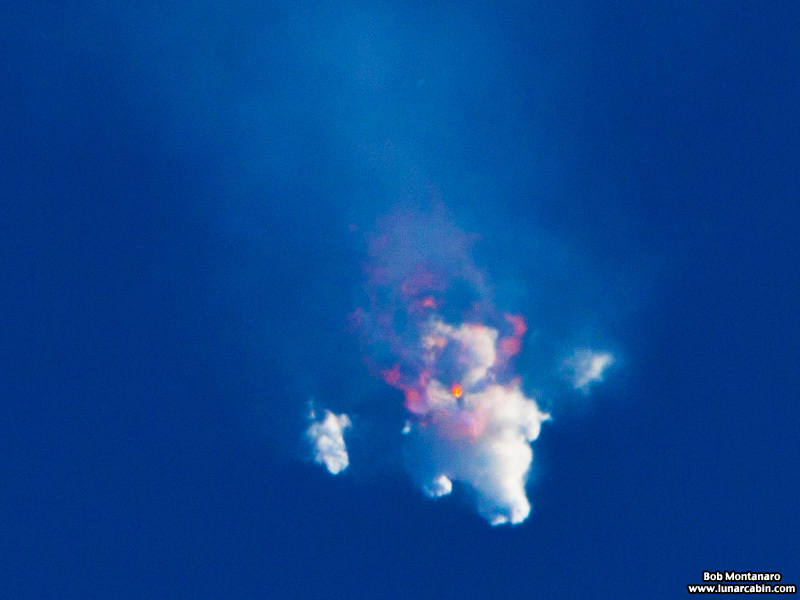 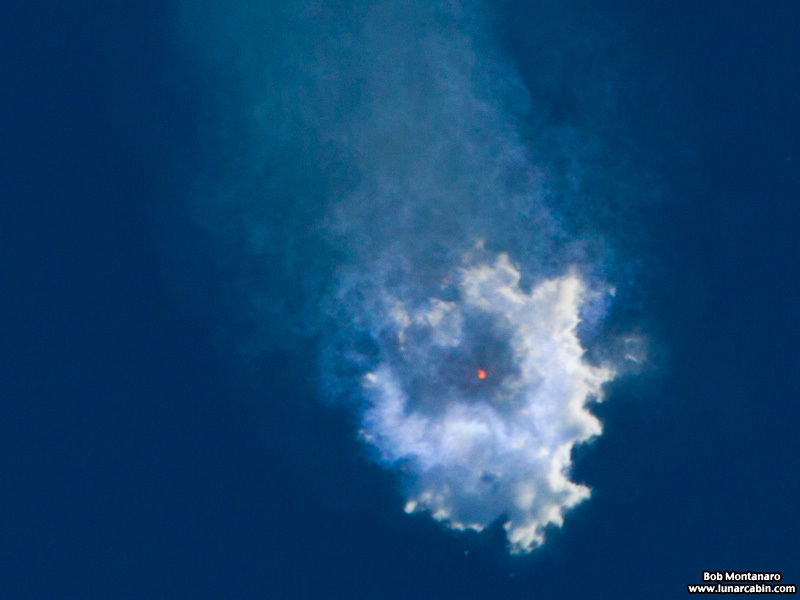 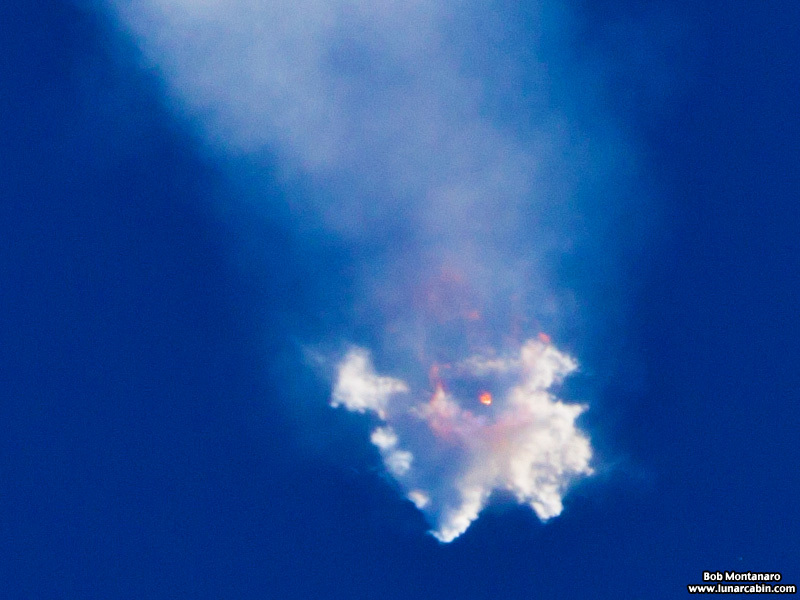 All that is left of the Falcon 9 rocket and the Dragon spacecraft is expanding clouds of gas and debris. 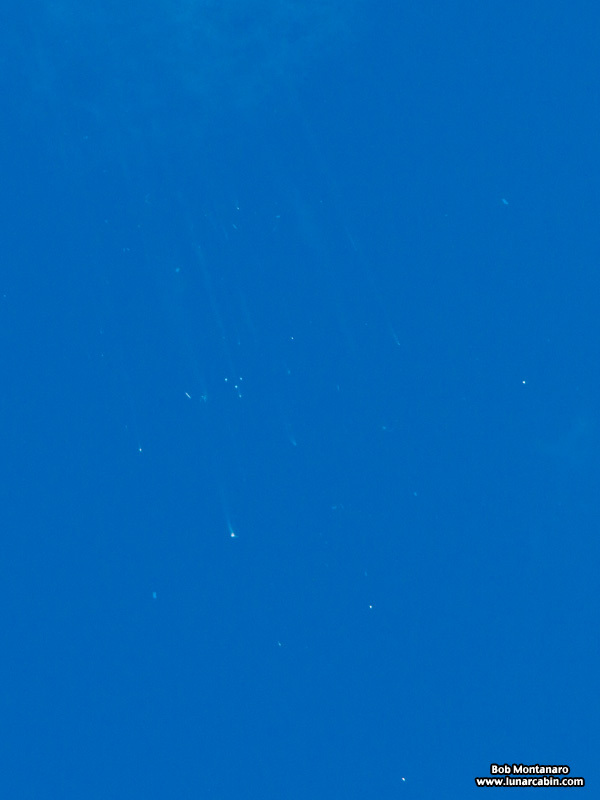 The first easily visible signs of debris. 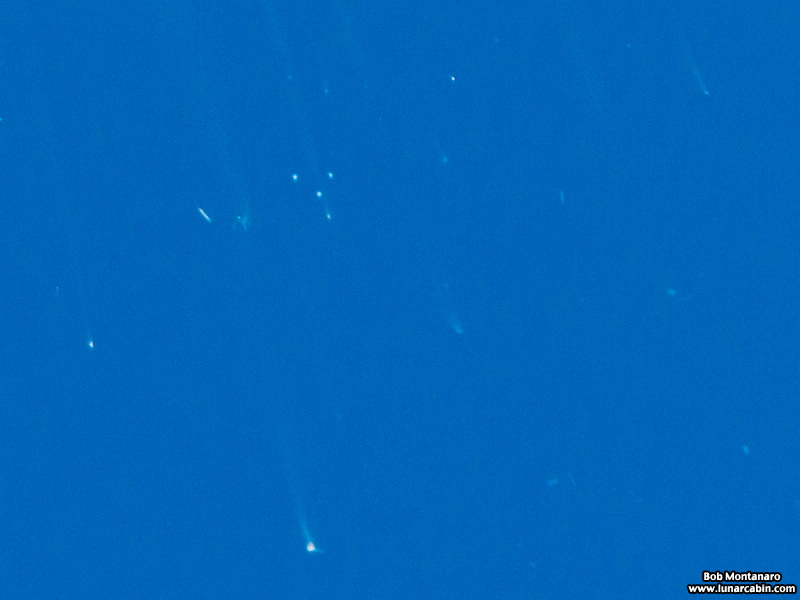 More debris falling toward the ocean. 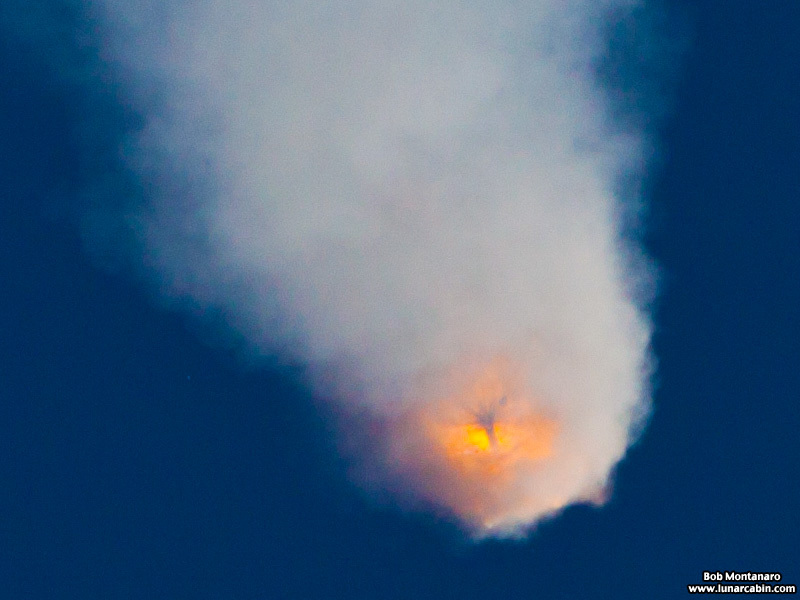 Interestingly, it was reported the Dragon spacecraft continued to radio telemetry for a time even after the breakup of the rocket.